The Power Breath Meditation Workshop is a mind-body resilience-building program for returning veterans. It offers practical breath-based tools that decrease the stress, anxiety and sleep problems that many returning veterans experience. A cornerstone of the Power Breath Meditation Workshop is the SKY (Sudarshan Kriya Yoga) Practice, a set of breathing techniques. Through rhythmic breathing patterns, the SKY Practice brings deep mental and physical relaxation which can reduce symptoms of anxiety, anger, insomnia, and depression. 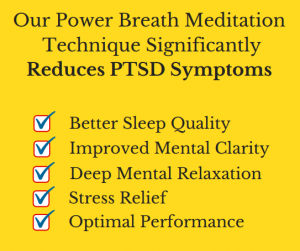 Through interactive discussions, the Power Breath Meditation Workshop builds a framework for resilience and empowerment and develops self-awareness, connectedness and community, and a positive outlook. 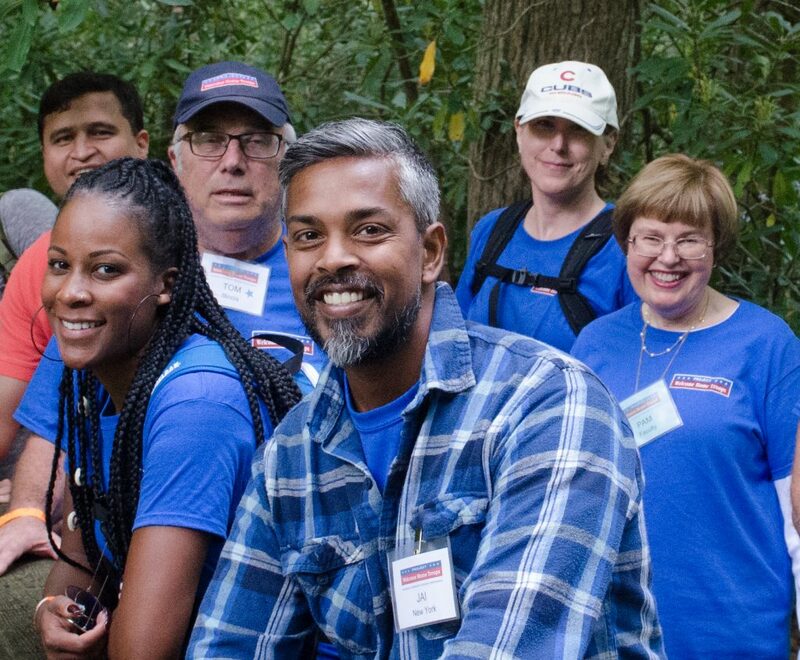 Our trainers are experienced facilitators who draw upon veterans’ existing strengths and wisdom to support them in returning to their natural, healthy state. Knowledgeable about military culture with extensive experience in breathing and mind-body techniques, our trainers guide the workshop with the attitude of mutual learning and respect. Through interactive discussions, the workshop also teaches resilience and empowerment strategies and develops self‐awareness, connectedness, and community. The program is interactive and carried out in a supportive, open and safe environment where veterans can freely express themselves without fear of judgment or shame. Many veterans report being able to reframe traumatic experience and find forgiveness for themselves and others during the workshop processes. The Power Breath Meditation Workshop is a 20+ hour program with practical take-home tools and ongoing support. Course Sessions – The Power Breath Meditation Workshop is taught over 5-7 consecutive days, in 3-4 hour sessions. Attendance at all sessions is required. Take Home Tools – Learn a set of daily breathing practices that take about 25 minutes to complete. Some of the practices can be used as needed, day or night to reduce sudden anxiety or insomnia. Ongoing Support – When possible, participants are also supported through facilitated followups with their trainers, arranged either in-person (when possible) or via teleconference (i.e. Skype). The workshop can be customized to suit most physical disabilities including hospitalized patients who may have limited physical movement. For those diagnosed with severe PTSD, it is recommended to spread out the training over a longer schedule in consultation with health professionals.